Small Business Administration (SBA) lending continues to grow during Fiscal Year 2017, according to the latest figures released on December 1, 2017. The coming year looks promising as well. The SBA’s 7(A) program has made more than four trillion dollars ($4,075,086,700) in FY’18, up from about $3.6 trillion ($3,590,687,500) in FY’17. Lending to women-owned businesses reached a new record high, as more than $580 billion went to companies that are more than 50 percent female-owned. SBA lending to veterans also reached a new record with nearly $147 billion in loans going to former members of the military. The SBA’s most recent report also found that almost $1.3 trillion – slightly less than one-third of SBA 7(A) loan volume – went to minority-owned businesses. The number nearly doubles the amount made to minority-owned companies in FY’13. Most SBA loans (62 percent) are going to existing businesses. However, entrepreneurs have plenty of reason to feel optimistic. During the current fiscal year, 38 percent of SBA loans have gone to new businesses, compared to 36 percent in FY’17 and only 25 percent five years ago in FY’13. This is great news for aspiring business owners. The strong U.S. economy and resulting optimism among retailers and consumers are part of the reason for the willingness of small business owners to borrow money to launch and grow their companies. At the same time, rising interest rates from the Federal Reserve entice banks to become more willing lenders. The deals they make are more profitable now than when interest rates were at record lows during the past few years. Many people believe that the Small Business Administration actually makes loans. However, the SBA does not lend money directly to business owners seeking funding. SBA loans are available to borrowers through the agency’s partner financial institutions (usually banks). The SBA spurs lending to small companies by guaranteeing a percentage of the loans (75 to 85 percent) that lenders make to entrepreneurs. The backing by the U.S. government gives incentive to banks and other types of lenders (credit unions and non-profit microlenders, for instance) to approve funding requests from startups and existing businesses that otherwise might not qualify for traditional bank loans. Basically, the SBA will supply a portion of the money to the lenders if and when a business owner defaults on a loan. For the borrower, getting an SBA loan is very similar to getting a traditional small business loan from a bank. For the lender, making an SBA loan is a less risky prospect because of the government guarantee. SBA lending has proven instrumental for borrowers who have often found access to capital challenging, including minorities, women, and veterans. In addition to the 7(a) loan program, the SBA offers CDC/504 loan program, microloans, and disaster funding. 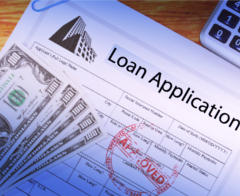 These loans allow for longer term financing and comparatively low interest rates. SBA loans assists startups and companies looking to expand or to manage their cash flow more effectively. Flexibility is important; SBA can be used for various business purposes, including start-up costs or acquisitions, working capital, franchise financing, equipment purchases, and renovations. The SBA’s most popular lending program is the 7(a) loan program, which provides working capital and funding for equipment purchases and the refinancing of existing debt in amounts as high as $5 million. SBA CDC/504 loans provide long-term, fixed-rate financing that can be used for land, owner-occupied buildings, street improvements and landscaping, modernization and construction of facilities. 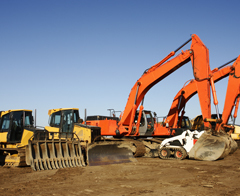 SBA 504 loans can also be used to buy machinery and equipment. These loans are often made to companies seeking to open or currently operating in under-served areas, and they promote community benefits, including job creation and an increased tax base. The funding is made available by the SBA’s network of 260 CDCs (nonprofit organizations with an economic development mission). SBA Disaster loans are for the repair and replacement of business assets damaged in a declared disaster. The financing can be used to fix or replace real estate, equipment, furniture, and inventory. Step one is filling out the loan application. After registering with FEMA, business owners then can apply online or in-person at a disaster recovery center. In 2017, the SBA made disaster loans to companies hurt by Hurricane Harvey in Texas and Hurricane Irma in Florida, as well as the wildfires in the west. SBA Microloans are for entrepreneurs seeking less than $50,000 in funding. 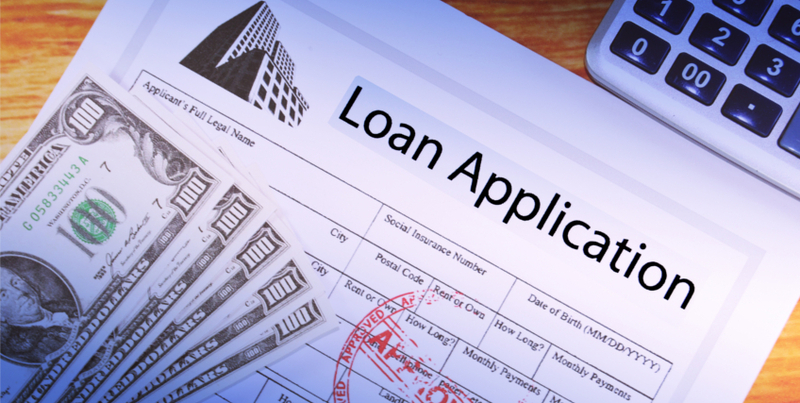 This type of lending can help greatly in launching a new company. 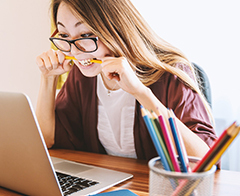 Before applying for SBA loans – or any other type of funding, for that matter – be sure to check your credit score to see if there are any errors and, when possible, pay off any outstanding debts that might hurt your score. Be prepared to provide two to three years of tax returns. Additionally, having a well-written business plan that includes financial projections will help make the case to an underwriter that your venture is worth of financing. The plan should have a one-page executive summary that includes a description of the business, its differentiator, a discussion competitive landscape in the area it will operate, management team member bios and a marketing plan. Essentially, the document provides a roadmap to profitability. Lenders want to make sure that the companies borrowing money will be able to pay it back. A strong business plan that lists the strengths of the business, its advantages over competitors, the attractiveness of the target market, strategies to market the company can win over the decision-makers at banks and other lenders. Be sure to address cost structures and projected revenue for the first year and several years following. SBA loans do require extra paperwork that helps secure the government guarantees. Although this makes the process a little more involved, SBA loan rates are usually attractive and are long-term. Business owners who are not under pressure to secure funding quickly should consider SBA loans in 2018. SBA lending has grown tremendously over the past five years, and there are many reasons to believe that this trend will continue in the coming year.